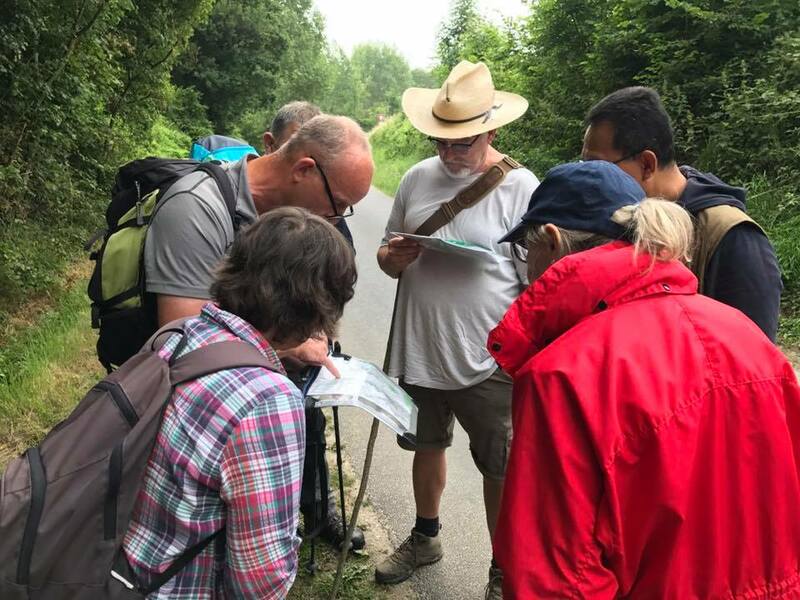 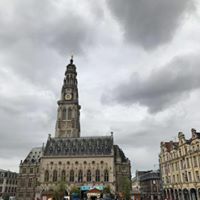 A smaller group of pilgrims this week, walking from Laon to Théouranne, passing through the emotional battlefields of WW1. 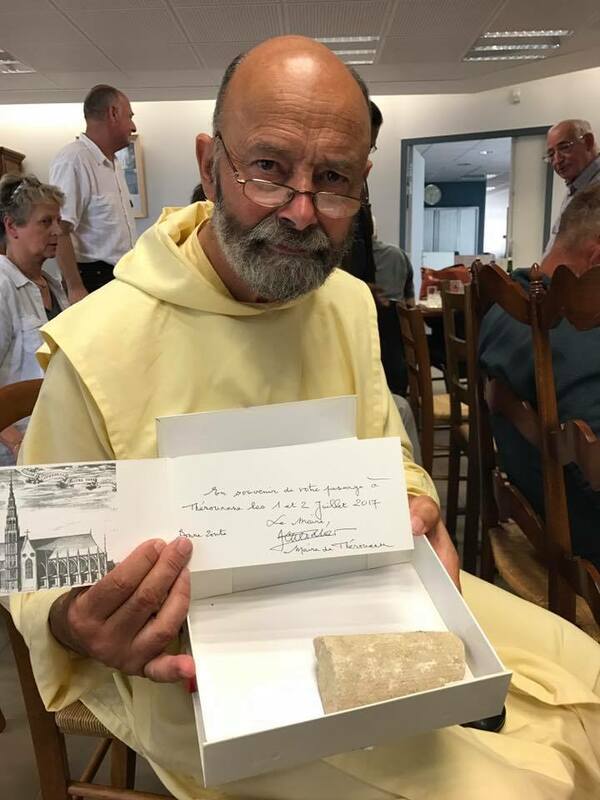 At Théouranne we had the pleasure of meeting Abbot Jacques Tangome and also the mayor, Alain Chevalier, who not only provided a warm welcome and hospitality in his own home, but also bestowed upon us a fragment of stone from the Cathedral of Théouranne which was destroyed in 1553. 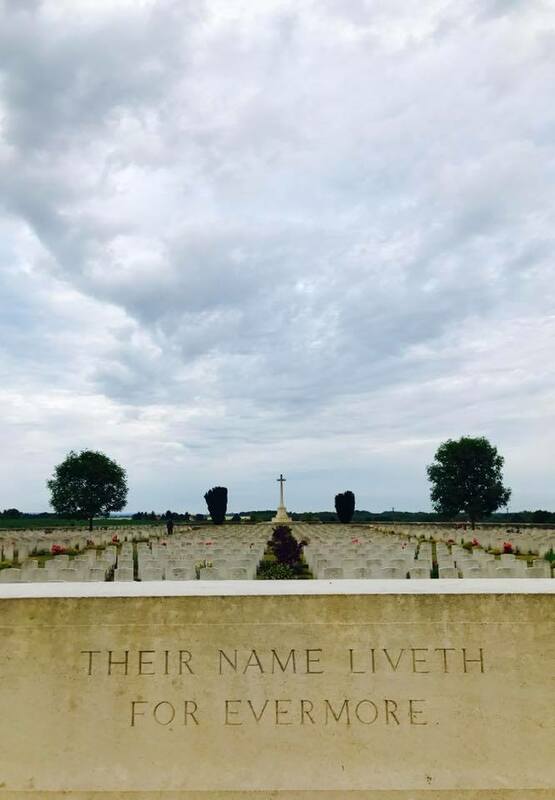 This will accompany the stone provided by Mr Monot from the Abbey of Val-des-Choux to form the foundation of the new South Range at Pluscarden Abbey.